Gone are the good old days of ‘lay-by’ – remember that? The ‘olden days’ of buying something you couldn’t afford. It was the original form of delayed gratification and budgeting for things we wanted – something our children and grandchildren will never know anything about. Do you have a big ticket item you would really like to purchase but you’re not sure how to pay for it? Here are 9 ways you could go about it. Keeping Score – Do You Know Your Credit Score? Your credit report (also known as a credit file) is one of your most important financial assets. Safeguarding this report is an important part of the finance application process. 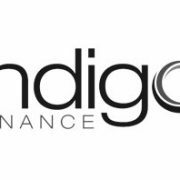 http://www.indigofinance.com.au/wp-content/uploads/2017/03/default-v2.jpg 198 300 wsadmin http://www.indigofinance.com.au/wp-content/uploads/2017/01/indigo-finance-logo.png wsadmin2016-01-13 02:18:592017-03-09 02:35:22Keeping Score - Do You Know Your Credit Score?